I have to admit I love everything about this time of year. Pumpkins on porches, windows open (well not yet), soups and the smell of yummy cinnamon in the air. You can’t lie, you love this too. Oh, and I love candy corn and this candy corn banner! So I did something really stupid this weekend. I am just like “Whuh”…. I made this wall art and did NOT take any pictures. I have NO idea what was going on in my brain but I figured it was cute and easy enough to explain without pictures. It’s very cute and ads a little dimension to your walls. What I love about this is I can replace the tissue pom pom’s for different occasions. 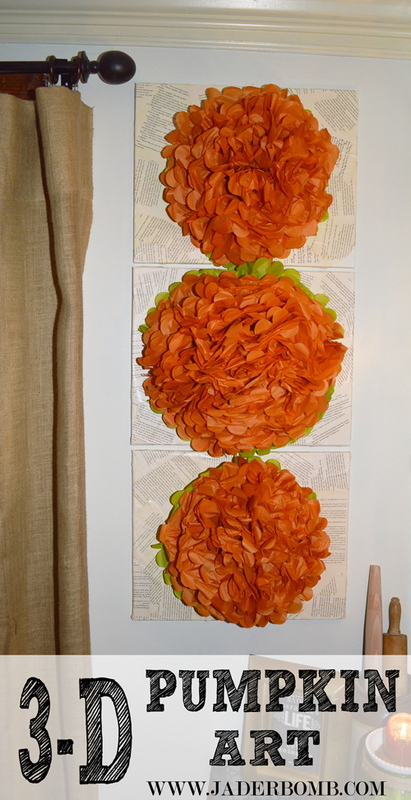 Create your paper pom pom and secure it on the canvas with hot glue. If you purchase this set from the link above the instructions are in it. Super easy. If you are interested in making your own tissue paper pom pom check this out. These tissue pom pom’s are meant to hang but I left the back flat so I could place it on the canvas. 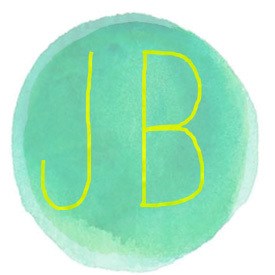 Jade, you could also use large round circles of tissue paper to get the same effect. The folks I work with can’t do the poms so that would be a great alternative to make them. They are darling and I am gonna so it with my group. TFS and I pinned it too.